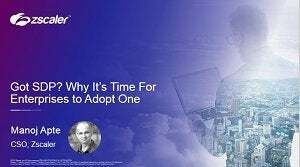 Having laid the foundation for what it means to shift security and our careers to the cloud, we will have a deep-dive conversation into various areas of technical interest, demonstrating how the cloud is uniquely able to deliver value to business as well as to those who embrace it. 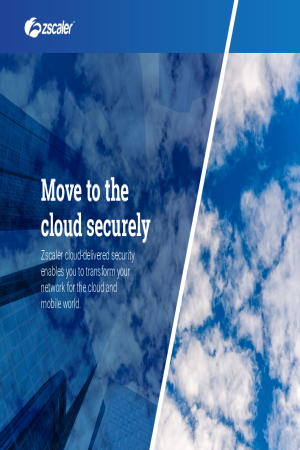 Zscaler enables you to shift from a hub-and-spoke architecture to an agile, direct-to-internet architecture by delivering the entire gateway security stack as a service. Take the first step in your transformation journey with Zscaler. Organizations understand that protecting users with a consistent and enforceable policy requires much more than simple URL or web filtering. 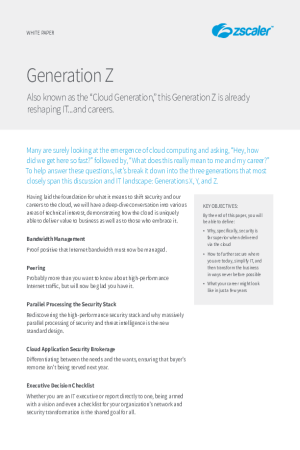 Thousands of companies have already switched their IT security from appliances to experience the benefits of the Zscaler™ Security Cloud. 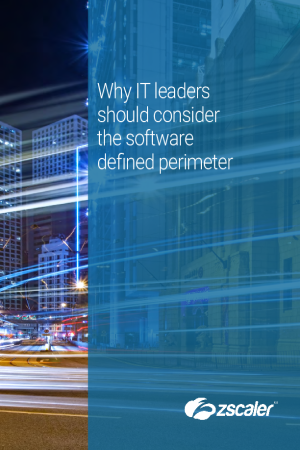 The time has come for security to evolve, moving protections closer to the user and bringing a new emphasis on convenience, flexibility, and reliability. Join us for an entertaining discussion around SDPs, including the benefits and challenges, with Manoj Apte, Chief Strategy Officer for Zscaler. Frederik Janssen, VP, Global IT Infrastructure, Siemens shares insights into the company’s re-architecting of its global hub-and-spoke network to a direct-to-cloud architecture. Digital transformation is pushing organizations to rapidly evolve branch office IT. To help you evaluate the best approach for your organization, we’ve pulled together an overview of the benefits made possible through IT transformation. Focused on driving innovation at every level, Sanmina turned to Zscaler to help provide employees fast and secure access to cloud applications. Learn how Sanmina transformed their network. Remote Access VPNs are no longer effective and lack the agility needed to protect digital businesses. 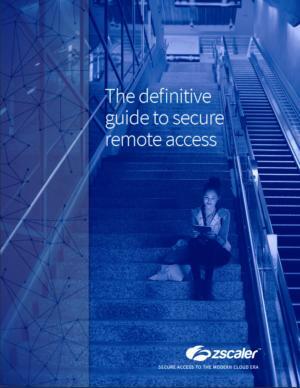 Read this guide to learn how to best provide secure remote access to their internal applications without using the network. Learn how Perdue Farm secures access to internal apps for thousands of their users while providing a seamless experience.